Moni Plus is Made from 100% natural Morinda Citrifolia (Noni) fruit & amla acts as an anti-oxidant, immune system builder & blood purifier thereby enhancing life span. The Total Body Revitalizer to add more years to life. 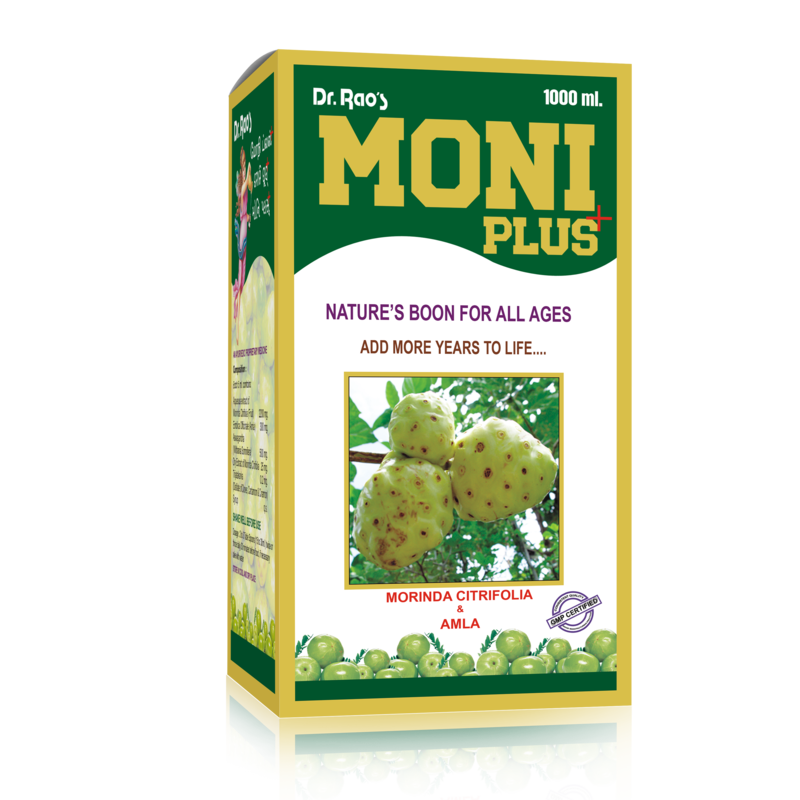 Moni Plus is Made from Morinda Citrifolia (Noni) fruit & amla acts as an anti-oxidant, immune system builder & blood purifier thereby enhancing life span. Helpful in conditions like Depression, High Blood Pressure & Arthritis. Moni Plus has a good Antiviral, Antibacterial, ans Anthelmintic activity. MorindaCitrifolia (Noni), Amla (Emblicaofficinale), Withaniasomnifera (Aswagandha), Trijatakarka (Distillate of cloves, cardamom & cinnamon), Syrup – base. Two to three tablespoons (15 to 30ml) twice or thrice-daily 30 minutes before meal; if necessary take with water. 500ml & 1000ml. in bottle.